Students follow a fine arts endorsed course in which they will have the opportunity to interpret and communicate their understanding of the world through the expression of their observations, personal concerns and emotions. 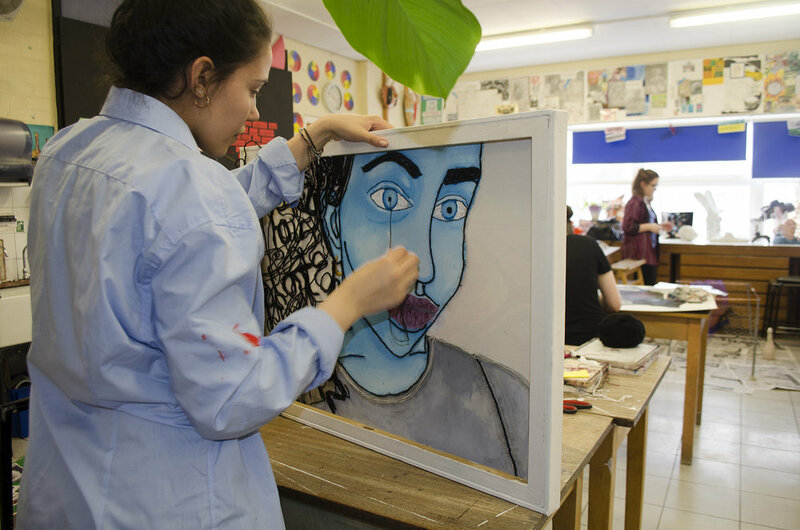 Qualifications in art will be essential for students seeking a foundation course placement at art college, or university, as a first step to an arts based degree. They will allow students to consider further education and employment in fields such as fine art, illustration, graphic design, product design, film and TV or other art based disciplines. 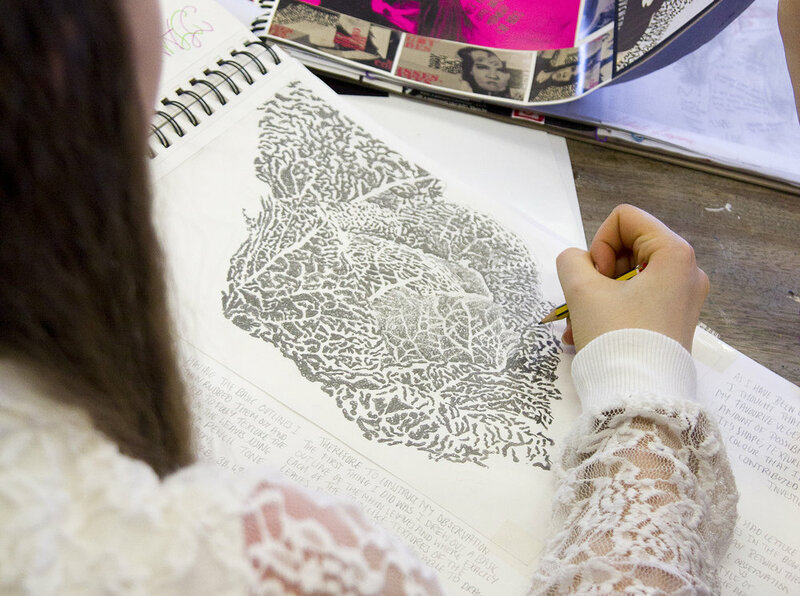 A level art can also be used in conjunction with two other A levels for application to the majority of university degree courses. Starting from direct observations and concentrating on the visual elements of line, shape, tone, texture and colour, students will deliver their ideas in a variety of wet and dry media, so gaining confidence through experimentation. The course seeks to increase students’ imaginative and creative powers as well as their analytical and research skills, enabling them to interpret and convey ideas and feelings. Relevant research must be undertaken to inform the students’ work and place it in historical context; students will consider artists’ ideas, techniques and processes and develop their understanding of the place of art, craft and design in history and in contemporary society. A deepening understanding of art is enriched by visits to art galleries locally and in London, while visiting artists and speakers also contribute to lively discussions. Students are given the opportunity to develop their ideas in a relaxed, supportive, friendly and creative atmosphere. 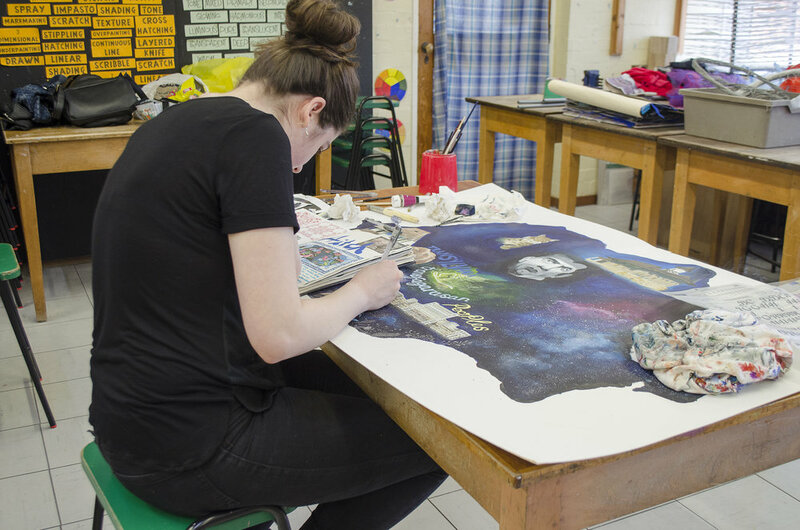 Art has much to offer: it is a subject which provides students with the chance to broaden their understanding of themselves as individuals and in relation to their social and natural environment.